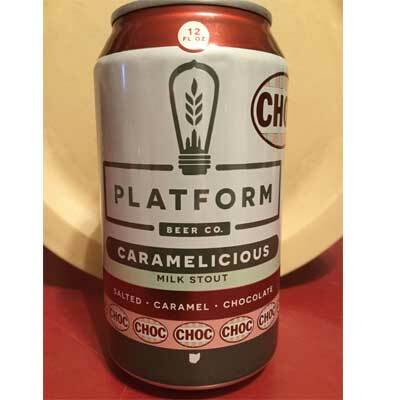 Soft-tongued milk chocolate entry gains mildly sour yogurt splurge above dewy earthen grains. Coffee-roasted milk sugaring reinforces milky mocha fixation. On tap at Ambulance, enigmatic ‘silky smooth’ Mexican chocolate knockoff with audacious vanilla-beaned red chili peppering instantly sweetened by spicy cinnamon-nutmeg adjuncts and milk-sugared cocoa nibs influence. Expansive, divergent and ‘suave,’ this creative milk stout will please chocolate habanero fans and venturing sweet-toothed dessert hounds. On tap at Poor Henry’s, Tavalon’s subtle chai tea influence guides peppery-spiced black chocolate syruping above silken oats-flaked spine. Milk-sugared mocha malting sweetened by cinnamon, cumin and cayenne piquancy, overwhelming latent green tea bittering of fine herbal-spiced stout hybrid. On tap at Ambulance, off-dry medium roast Ethiopian coffee frontage gains mild chocolate-milked vanilla creaming to contrast light earth-scorched wood tones. Minor lactic souring encounters dainty espresso bittering in the backdrop. 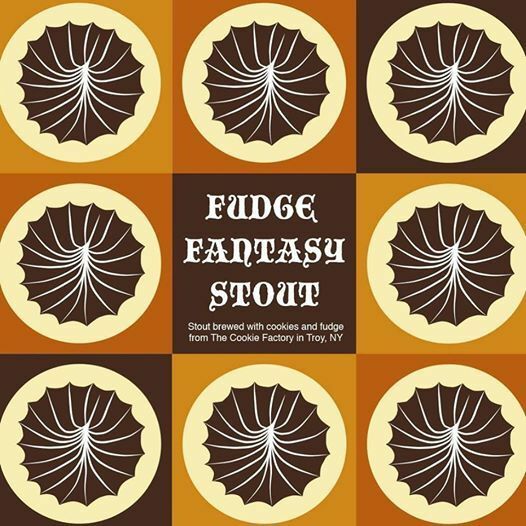 On tap at Growler & Gill, fudgy black chocolate quaintness gains cookie dough smidge over dry cola-walnut confluence. Not an overtly sweet stout. And its fudge fantasy’s a little undetermined. Complex Christmastime hybrid way beyond stylish nitrogenated milk stout parameters. Savory maple-syruped chocolate mousse creaminess gains immediate cardamom-spiced orange peel sweetness, ginger-leafed cinnamon minting and coniferous pine nut minerality for chai tea-inspired nitro stout. Tertiary sarsaparilla, cola nut and walnut illusions casually integrate with wintry sandalwood, sage and fern snips as well as delicate rice pudding, cherry coughdrop and gingerbread dalliances to further enrich rangy milk stout template. On tap at Ambulance, salted caramel candy drapes dark chocolate syruping of delightful sweet stout. Lactic-sugared vanilla, creamed coffee and crème brulee illusions float below the copacetic caramelicious surface. On tap at Shepherd & Knucklehead – Haledon, creamily sweet milk stout loads dark chocolate syrup atop dainty cacao-nibbed bourbon vanilla fudging. Milked chocolate continuance picks up distant bruised cherry, prune, raisin and anise snips. Just a tad thin at the finish. 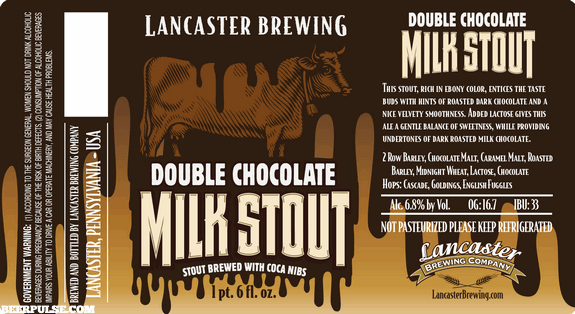 Jacked up version of Lancaster Milk Stout increases the creamy lactose-sugared milk chocolate richness and sweetly caramelized cocoa nibs adjunct in velvety smooth clean-watered setting. Luscious black chocolate syruping ultimately usurps bittersweet vanilla-beaned cocoa splendor as well as less intense dark-roast coffee, cappuccino and espresso undertones. Rich peanut-buttered dark chocolate template receives Cocoa Puffs, black coffee, molasses bread and seared walnut illusions reinforced by moderate hop char. Not unlike a liquid Reece’s Pieces candy bar, though its fluffy carbolic frisk thins out some of its peanut butter resonance. Competition for admirable peanut-buttered porter, Duclaw’s Sweet Baby Jesus!